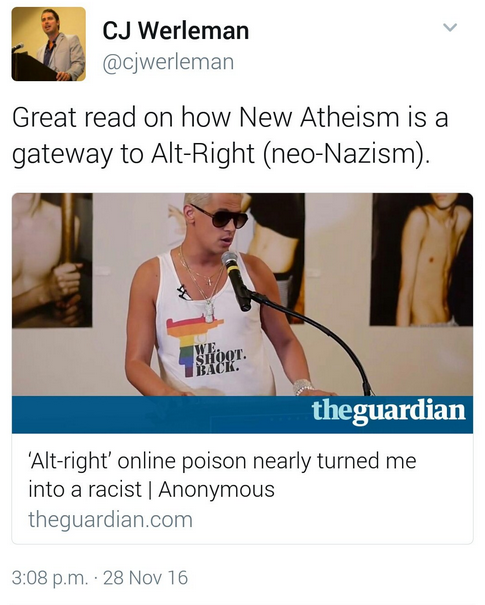 Fast-forward to November 2016 and we find the article ‘Alt-right’ online poison nearly turned me into a racist ‘ in The Guardian written by an ‘anonymous’ contributor. 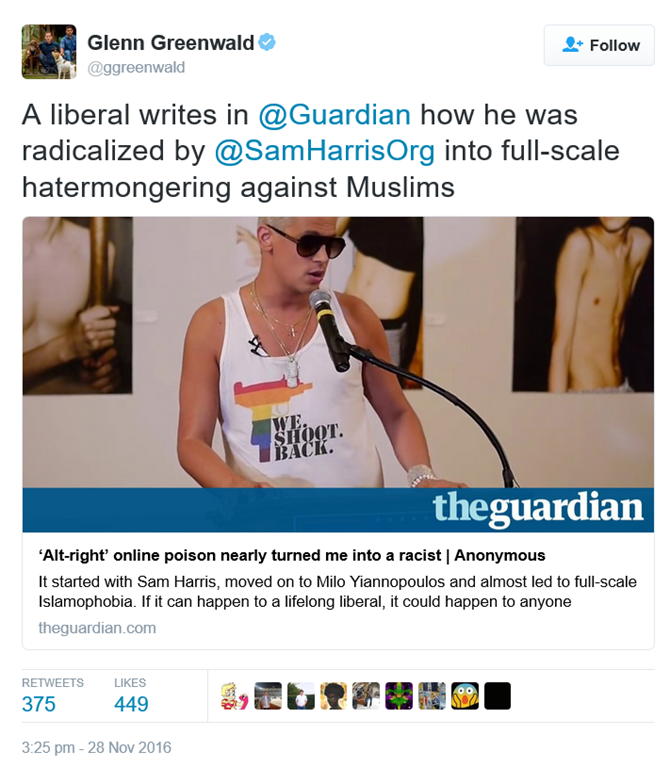 The standfirst reads ‘It started with Sam Harris, moved on to Milo Yiannopoulos and almost led to full-scale Islamophobia. 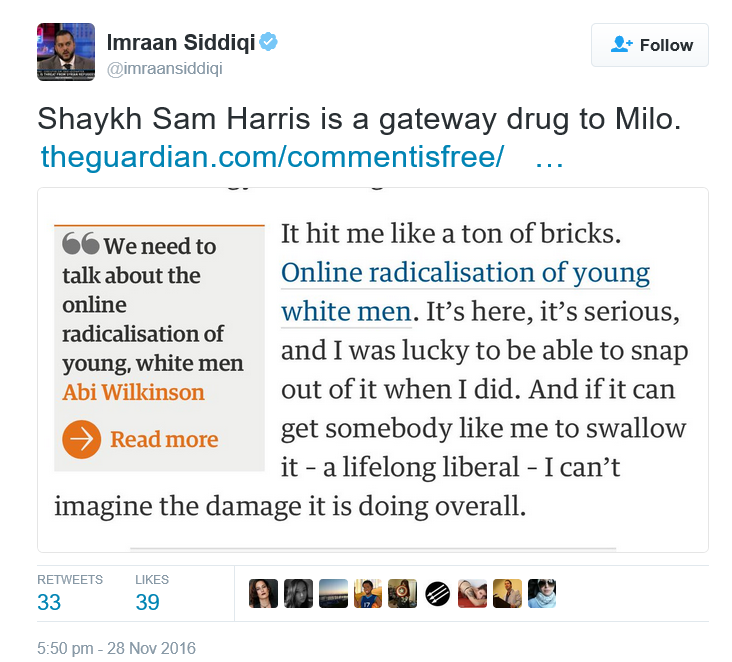 If it can happen to a lifelong liberal, it could happen to anyone’ which really should have had alarm bells ringing at Guardian HQ. The article also contains hilarious little flourishes such as ‘On one occasion I even, I am ashamed to admit, very diplomatically expressed negative sentiments on Islam to my wife’. Blimey. Although the article is so laughable as to appear blatantly fabricated, given what has become standard-fare for The Guardian, all bets were off. Some had no doubts as to its authenticity however. The Rogues’ gallery goes on and on. Were someone to write an article claiming that Sam Harris was a puppy-crushing android sent from the future, these people would retweet it. 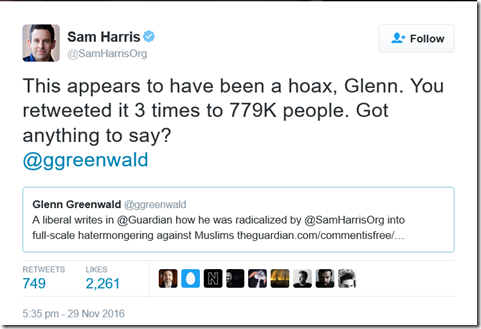 Of course, Glenn Greenwald’s deeply unethical and dishonest treatment of Sam Harris can be traced back to this ‘telling’ collision between the two men from 2013. 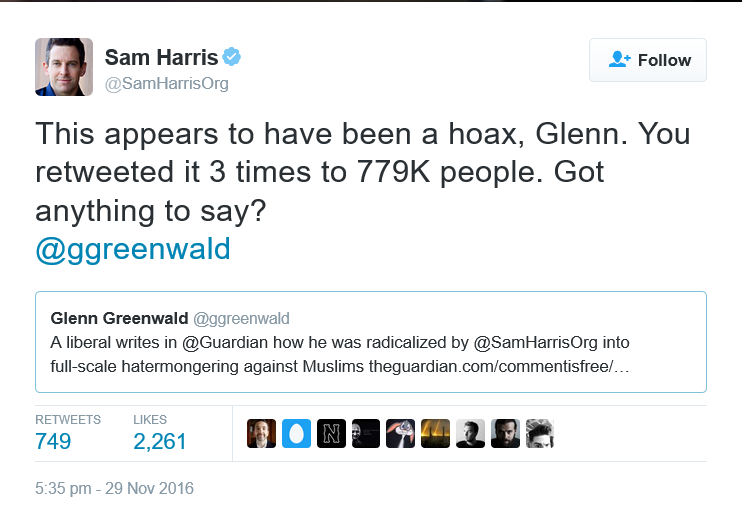 Greenwald’s unpleasant behaviour was noticed by many – leading to the popularisation of the term ‘Greenwalding’ to describe the act of smearing and misrepresenting people who disagree with you. 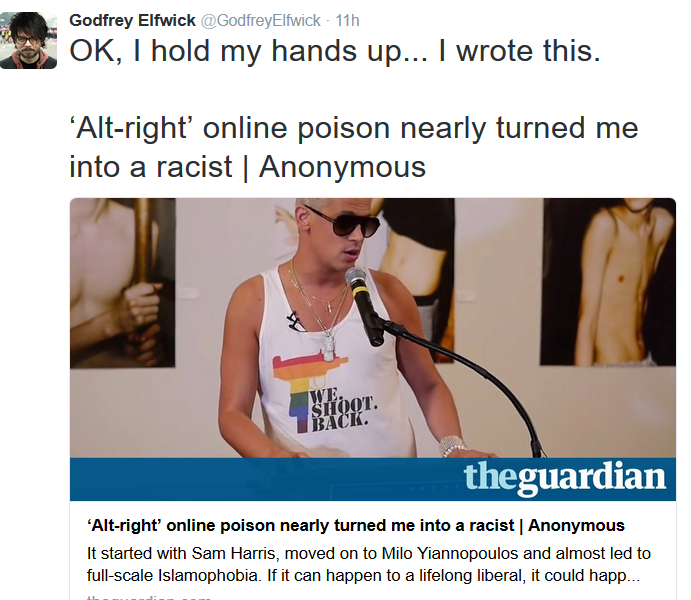 Now, it is possible that I may be falling into the trap of a double troll here, but it seems online satirist Godfrey Elfwick has now claimed responsibility for The Guardian Article. So, here we have it. A mainstream ‘liberal’ newspaper will print any old nonsense just so long as it ticks their prejudices check list. 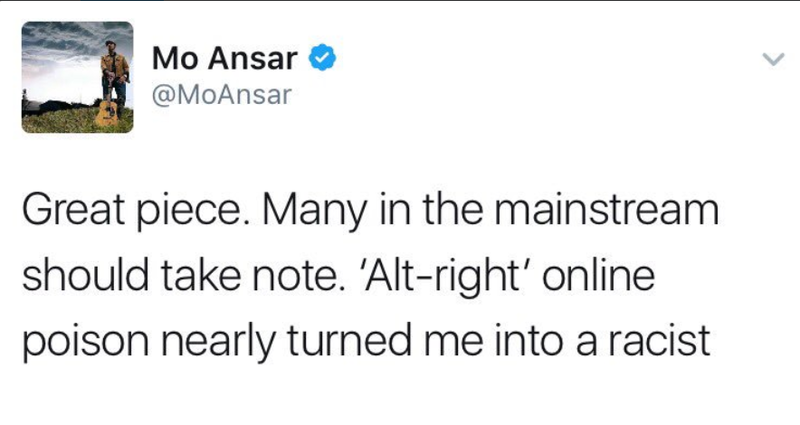 Followed by a gaggle of ‘Journalists’ and glorified trolls who will also amplify any old nonsense just so long as it’s unfavourable towards Sam Harris. Will Glenn Greenwald retract and apologise if it indeed turns out to be fake? I wouldn’t hold your breath. To assume this latest exposure of dishonesty will be the one that somehow produces some ethics and integrity from Glenn Greenwald is to have not paid attention to him these last few years. Hoax or not, it should be especially concerning to those who shared this Guardian piece that it’s currently impossible to verify whether it is in fact satire or not. 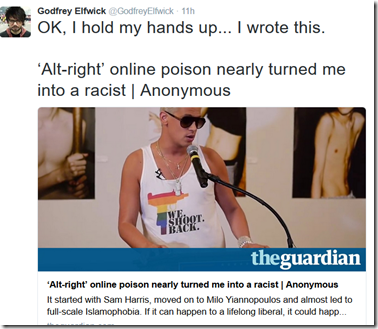 I’ve reached out to the individual running the ‘Godfrey Elfwick’ account for comment, but no comment was received at the time of publishing this blog. Chairperson of Atheist Ireland, Michael Nugent has published some typically excellent analysis on the Guardian article in question, which you can read below. I still think that my own neologism is right up there with ‘Greenwalding’. Aslandering: the act of making a false, negative statement about someone by deliberately misrepresenting their views. You can also add PZ Myers (surprise surprise!) to the list of regressives who liked that hoax article. 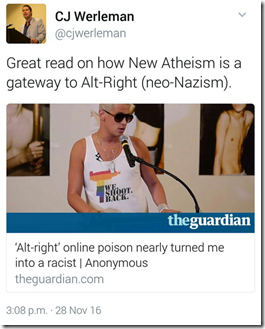 It is interesting that PZ seems to share the same views as CJ Werleman on everything. 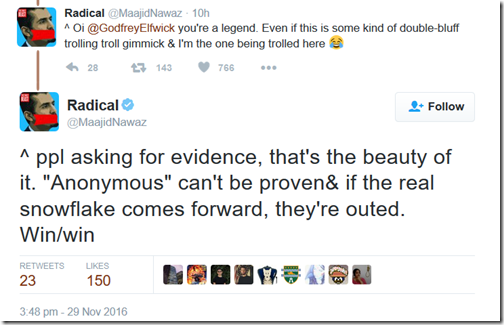 I wonder if PZ has developed a dislike of Jews and ex-Muslims/progressive Muslims in the past few years, like Werleman has? “Now, it is possible that I may be falling into the trap of a double troll here”. 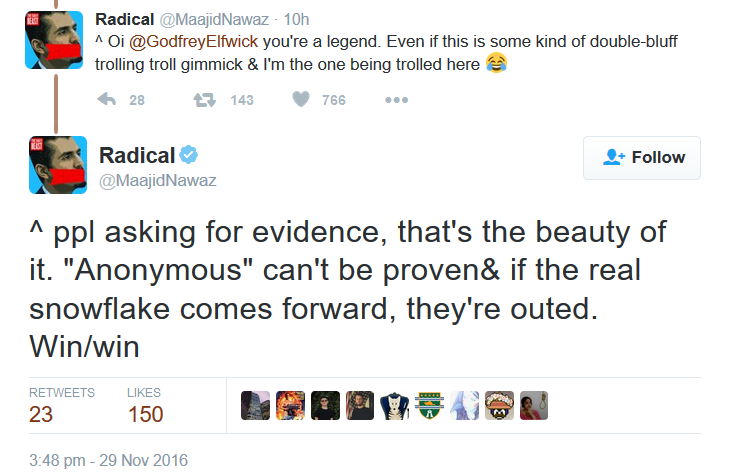 I’m fully open to the idea that Elfwick is making this up (hence my multiple caveats:-)). 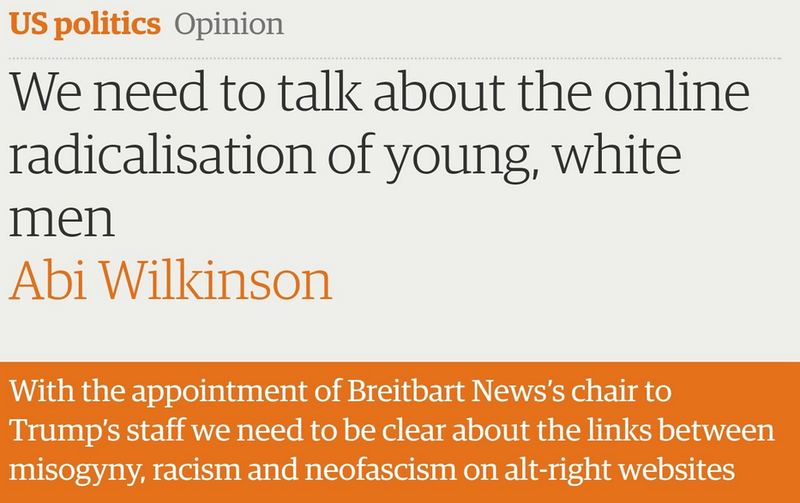 I think the important point is that it’s entirely plausible that he did write the Guardian article. It’s indistinguishable from parody. And, unless The Guardian can reveal their ‘anonymous’ source, I still think there is a stronger argument that this is a hoax. Win/Win as Nawaz said. Stephen, oddball request here but could you somehow include the text of tweets separately to their images? I send this sort of thing to my Kindle to read later and, although some images do get through, many, including your tweet images, don’t. So I am left without the context for your comments. Only if its fairly easy though, obviously! Just too funny, well done Godfrey. I stopped reading at “suggested videos” thinking I was being trolled. Maybe “I even, I am ashamed to admit, very diplomatically expressed negative sentiments on Islam” should have been a clue (to myself and the Guardian) that something else was afoot. So it does. I’ve changed ‘creation’ to ‘popularisation’ to reflect this. Thanks for the info. 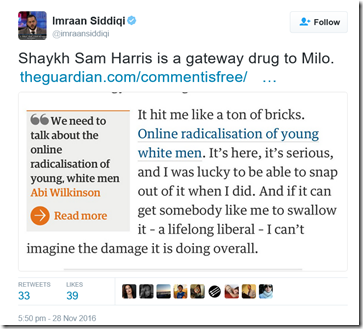 It seems troubling that, as far as I can tell, the Guardian has not yet responded in any way to the claim that this article is a hoax. I’m not sure whether it is a hoax or, as some suggest, this is actually a meta-hoax of some sort. 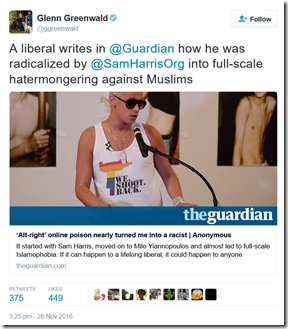 Either way, though, seems like the Guardian needs to do some explaining, as well as some reconsideration of their willingness to publish anonymous pieces. I recommend people send emails to the Guardian asking for an explanation. 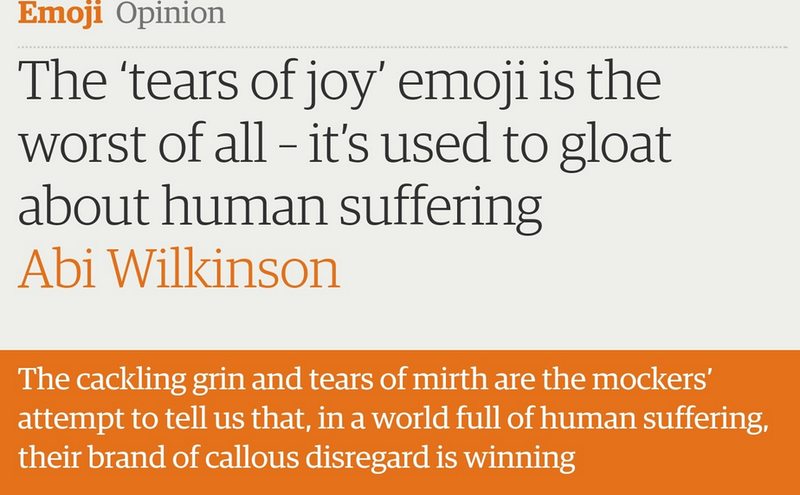 The relevant email address appears to be guardian.readers@theguardian.com. Got to wonder how fast they scrambled to social media to spread the article. Quick something confirming my biases and proving me right, must let everyone know immediately! 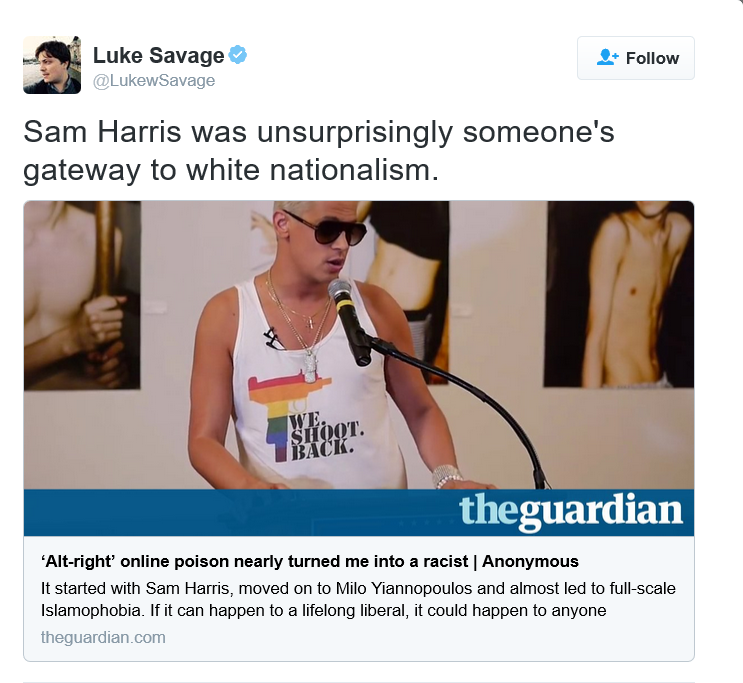 Of all the things that you become after listening to sam harris, less reasonable is not one of them. Im sure a bigot listening to him may find things he agrees with and be self affirmed, but in the process he might also develop a critical brain and some intellectual honesty. 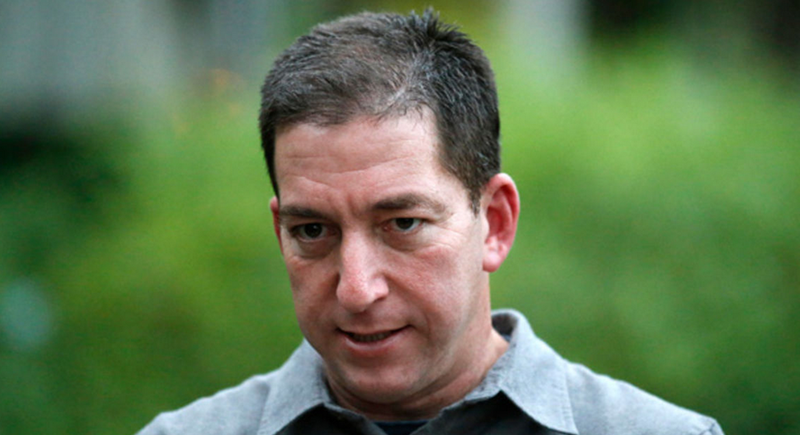 Greenwald used similar logic: even if it was a hoax, the ‘dymanic’ is real. 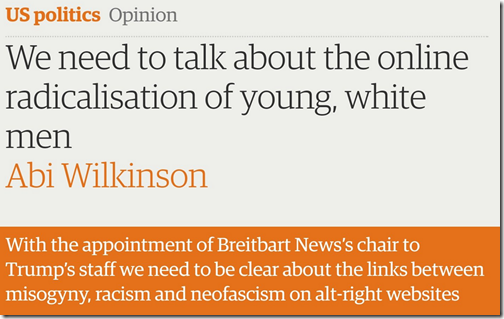 Odd that there’s been nothing from the Guardian on the matter. I’ve heard about the Sokal Hoax for years. 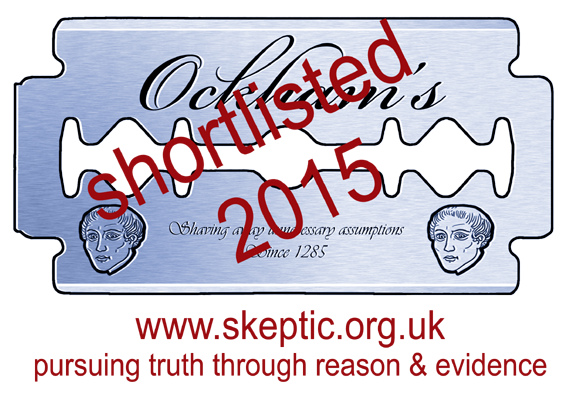 People often refer to it as the gold standard of hoaxes that intellectually decimated Post Modernism. But, as far as I can tell, it seems to be a complete failure from the standpoint of actually having some impact or influence. 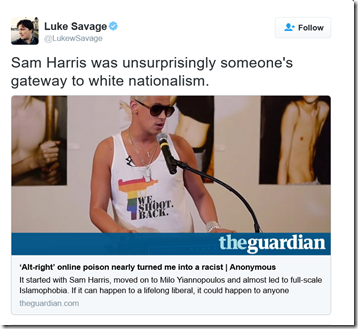 Post-Modernism and Cultural Marxism continue their march through universities and other institutions uabatted. The only people who appear to care about the Sokal Hoax are the people already inclined to appreciate criticism of Post-Modernism. None of the pseudo-scholars are bothered in the slightest. 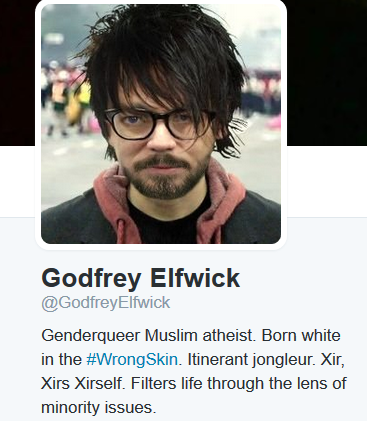 There’s little doubt to me that this is Elfwick’s work. The piece may have been created months ago, but has probably been re-written after Trump’s win. 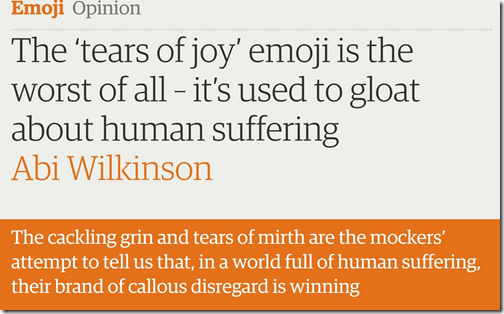 A staggering failure from The Guardian. I read this piece before any analysis and assumed it was either a hoax or written for the Huffington Post but accidentally ended up on The Guardian. Honestly, it feels like you could write a solid antidote to this on why/how the utter collapse of left-wing reason following Recent Events has driven many toward the right. There is a kernel of truth in the satire. I find myself following the facebook comments on this issue and wind up in threads suggesting that all Muslims need to be killed sprinkled with numerous references to sand monkeys. 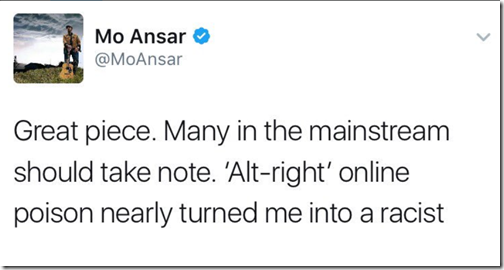 However, abandoning truth on the left just gives the alt-right undeserved credibility. I’m convinced that the women, blacks, and latinos who voted Trump were convinced that he was the lesser evil of two bad candidates by the obvious lies of the Democratic White House and the regressive left on the subject of Islamism. I find the use of “SJW” as a pejorative misleading and annoying. 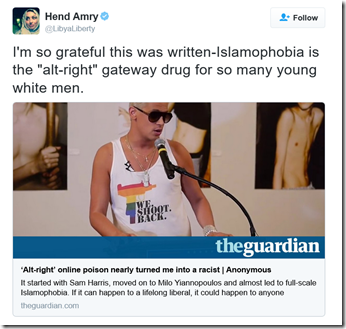 Regressive Left spokesmodels are doing the opposite of promoting Social Justice. We need more actual Social Justice Warriors countering the inroads of the alt-right and the Islamist fascist right on mainstream thought. By ignoring, denying, and demonizing denunciations of violations of Social Justice commited by Islamist fascists, the regressive left is betraying the larger struggle for Social Justice for everyone.